After months of teasing and speculation, The Elite members Cody Rhodes, Hangman Page, Matt Jackson, and Nick Jackson have officially confirmed that they are all set to start their own promotion known as All Elite Wrestling. The Elite initially started out as a trio in 2016 when current IWGP Heavyweight Champion, Kenny Omega took over the Bullet Club leadership from AJ Styles and forming a subgroup with fellow BC stablemates, The Young Bucks. Following the addition of the likes of Cody Rhodes, Marty Scurll, and Hangman Page to the Bullet Club, The Elite eventually decided to split from The BC in 2018, as the likes of Tama Tonga, Bad Luck Fale, Jay White, and Taiji Ishimori took over the reins in The Bullet Club. In 2018, The Elite also initiated their first ever wrestling show known as All In, which generated a total of 10,000 people in the Sears Center in Illinois. After several months of teasing, The Elite has officially confirmed that they are all set to start their own promotion, as the likes of Matt Jackson, Nick Jackson, Cody Rhodes, Hangman Page, Cristopher Daniels, Frankie Kazarian, and Scorpio Sky, who recently left Ring of Honor, will be starting All Elite Wrestling. Cody teased yet another announcement in midnight Pacific Standard Time and The Elite released their latest episode just as it hit January 1st on the west coast. 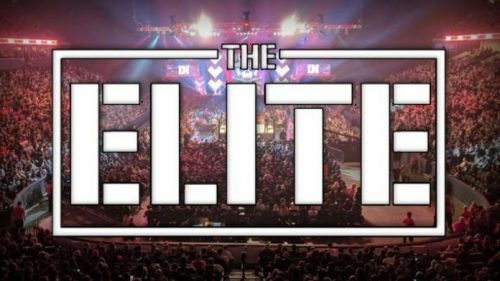 During the recently released episode, it was officially confirmed that The Elite will be starting their All Elite Wrestling promotion. Furthermore, The Elite also confirmed AEW's first ever show, Double or Nothing and further information regarding the show will be released on the 8th of January. All Elite Wrestling's first ever show will take place within the next few months as it seems and we will keep you updated regarding AEW.